Car manufacturers have shown us a vision of the future, where avatars are beamed from sat navs, making it look like an animated character is sitting in the passenger seat right beside you. This state-of-the-art technology is called ‘Invisible-to-Visible’, or I2V, and could be set to change the way we drive. It’s also able to show scenery of a sunny day inside the car, while actually raining outside. In case you’re wondering how it would help prevent you from having accidents on the road, the 3D display contains a system using sensors – inside and out – to anticipate upcoming obstacles. By helping you see the invisible, I2V enhances your confidence and makes driving more enjoyable. The interactive features create an experience that’s tailored to your interests and driving style so that anyone can enjoy using it in their own way. 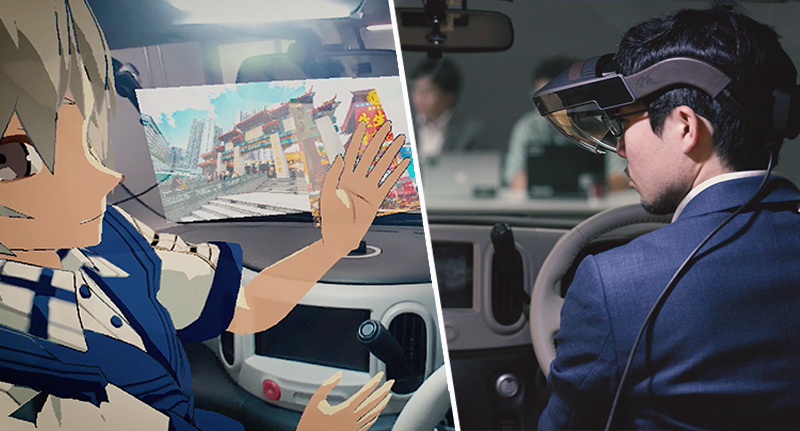 Nissan are calling it the ‘Metaverse’ – a virtual world autonomous cars can connect to – which would make it possible for family, friends, or others, to appear inside the car as three-dimensional, augmented-reality avatars – helping with boredom or offering assistance. 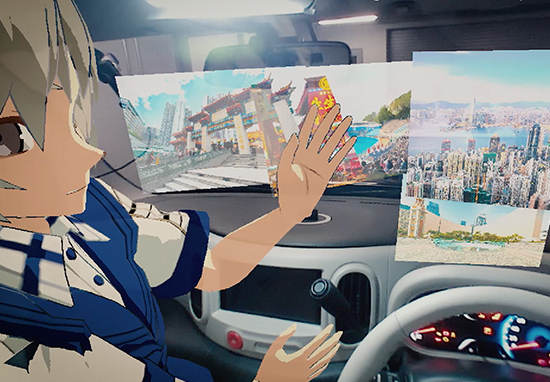 According to Nissan, the ‘Metaverse’ maps a 360-degree virtual space around the vehicle to give you info about things like road and intersection status, visibility, signage or nearby pedestrians. It can also monitor the people inside the vehicle through its interior sensors to help anticipate when they may need assistance with finding something, or a coffee break to stay alert – or like my friends, a beer stop because they’re bored! Perhaps even more impressive is the fact, should the car’s automatic systems not register something instant – like a fallen tree – control is instantly handed to human experts, who will be able to offer remote assistance – similar to how NASA operate when giving guidance on a space mission. Want to check it out for yourself? Well the impressive piece of kit will be on show in Las Vegas, US, from January 8-11, at the Consumer Electronics Show. Those of you who’ll be lucky enough to go and visit, you’ll be able to check out and experience the ‘I2V’ at Nissan’s display. You’ll whack on a pair of augmented-reality goggles before stepping inside a demonstration cockpit, which will feature three-dimensional interfaces and displays. Awesome! 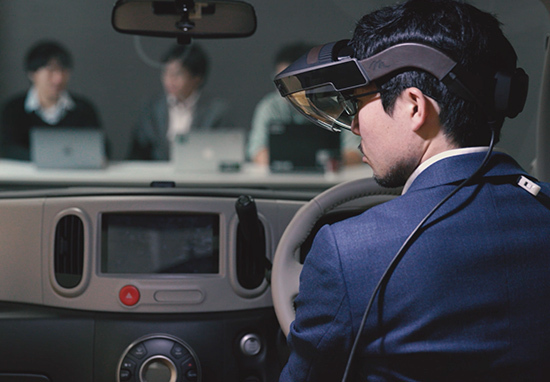 Users will then be guided through a number of scenarios including a tour of a city, receiving help to find an open parking space at a busy shopping centre, seeing a rainy day outside change to a sunny day inside the car, chasing a professional driver avatar to improve driving skills, as well as exploring how ‘I2V’ can see through buildings and around corners.